It’s that time of year again. This is the time when many debtors look forward to receiving their federal and state income tax refunds. 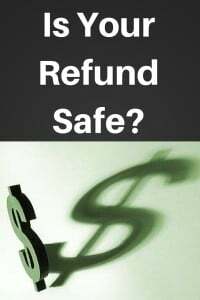 Debtors rely on these refunds all year long to get them through this period of time. Throw in the bankruptcy wrinkle. A debtor who is struggling financially seeks the protection of the bankruptcy court only to realize that the tax refund is potentially at risk. This is true in both the chapter 7 and the chapter 13 bankruptcy case situations. property. If a debtor’s assets including the refund exceed the allowable exemptions, then the Chapter 7 trustee may acquire that property, liquidate it for the benefit of creditors, and distribute to creditors pursuant to a certain hierarchy mandated by the bankruptcy code. If a joint couple is filing, the exemption is doubled to $8000 worth of miscellaneous personal property that can be protected. Please note that I’m seeing higher and higher tax refunds this year. When I see this, I advise my clients to think about changing their withholdings so that they receive more money in their paychecks all year round and less of a refund at one time. Let’s examine the chapter 13 scenario. You would think that a chapter 13 case would allow for the debtor to maintain the entire refund because they are in a repayment plan for either all or a portion of their debt provided for under bankruptcy law. However, in the Northern District of Illinois, there are three separate chapter 13 standing trustees. These include Marilyn Marshall, Tom Vaughn, and Glenn Stearns. Each of these trustees have a different requirement or opinion rather, on whether or not a tax refund must be turned over to them or not. Glenn Stearns is the most liberal of the three trustees in that he will allow the debtor to maintain the tax refund free and clear. Tom Vaughn is the next liberal trustee who allows you to keep up to $1200 worth of your refund as well as any welfare credit benefits. Marilyn Marshall is the least liberal and demands that all of the tax refund be turned over to her to be applied not toward the payoff, but rather as an additional payment into your plan. This could significantly increase the percentage paid to the unsecured creditors when we factor in 3 to 5 years’ worth of federal tax refunds. As you can see, the federal tax refund is not a windfall to the debtor in most cases. For this reason, a debtor should consult with an experienced, bankruptcy attorney to determine when the right time to file is and of course, which chapter to file. For more information on chapter 7, chapter 13 and how your federal income tax return is affected, you can contact my office directly at 847-520-8100. We always offer a free, initial consultation to give you the best advice possible regarding bankruptcy no matter what chapter you are filing under.